This day and age, there are a good many reasons for one to consider hiring a limousine to cover the transport of you and a group of friends or colleagues. Limousines are prefect for your personal celebrations and for any professional or public events you might be hosting! Perhaps it could be for your wedding, a bachelorette party for your best friend, or even for your child's prom. Or maybe you're hosting a work conference or have a fund raiser and need transport from a banquet hall to an event. Do you need more ideas? Well, you might just be due for a big night out on the town, and would like to fulfill your innate desire to be pampered while you're out with your closest friends having the time of your lives, in which case you need a limo! 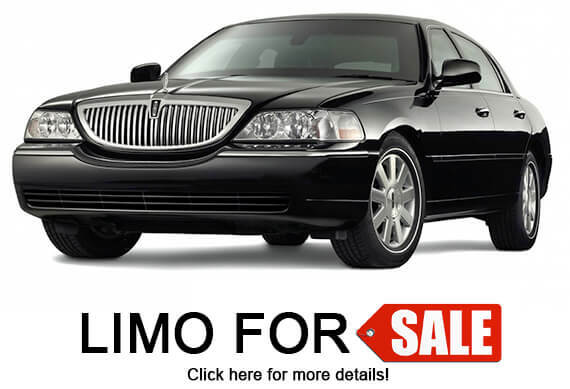 Whatever the reason is, there are things related to limousine service that can save you money, time, and headache! These are definitely things that you should be aware of before you begin your search for the best company in your respective area. Once you have all the necessary information, you'll be ready to find the best limo or party bus in your town! First in the line of your consideration, is the size of the vehicle with relation to the size of your group and the respective size of the folks in your group as well. Most limousine companies adhere to DoT regulations with regard to seat size and corresponding capacities of their vehicles. In most areas 14 inches is considered a sufficient seat width. Well, the reality of the matter is that not all frames are built the same, and some people may require a little more room to facilitate comfort. After all, what good is hiring a limousine just to end up cramped and uncomfortable? Right. That's what we thought too. You're here because you're seeking the ultimate in comfort and accommodation! So, keep in mind that you may want to consider a vehicle with a capacity that is advertised a bit larger than the actual number of people in your party. The cost increase to upgrade the size of the vehicle to comfortably accommodate all of your guests will be negligible with respect to what you're already paying. It's one of those trade offs in life... If you're already spending this much, why not go a little further to ensure everyone's ultimate comfort? And if your entire group is chipping in on the cost, the cost difference then truly becomes not even worthy of mentioning. On that note, if you have the option of splitting the cost between guests it's a great way to save money! To save time during your search, you're going to want to know that just about all limo companies ask the same line of questions upon your first contact with them. The information they ask for is used to find the vehicles they have available at your requested date and time and to determine the exact price. They'll need to know the date of required service, which area the pick-up is going to be, and how many passengers you'll be hosting. If you have this information ready before you pick up the phone, your call with go a lot smoother and quicker. Before you book, in order to ensure that there are no additional costs, you're going to want to know what their policies entail. Do they have any hidden fees which fall into place on the day of your run? What are the policies relating to smoking? What happens if my group makes a big mess? Do they charge extra for itinerary changes? Do they charge by the mile, or charge extra for additional stops? The answers to these questions will ensure that you don't incur any additional charges after your run. If costing extra money can easily be avoided, you'll obviously want to do all you can to ensure that you pay the lowest possible amount for your trip.